There are so many exciting places to go to in Indonesia other than Bali. Many people only see the Bali craziness that is Kuta and Seminyak, and I think that’s a big shame. By invitation from the Indonesian Tourism Board, I was able to experience a variety of other places in this multi-faceted country. On my trips I discovered that all over Indonesia, there are volcanoes and powdery beaches. Emerald bays and unspoilt water landscapes teeming with life. You can find fascinating Komodo dragons and swim with manta rays. 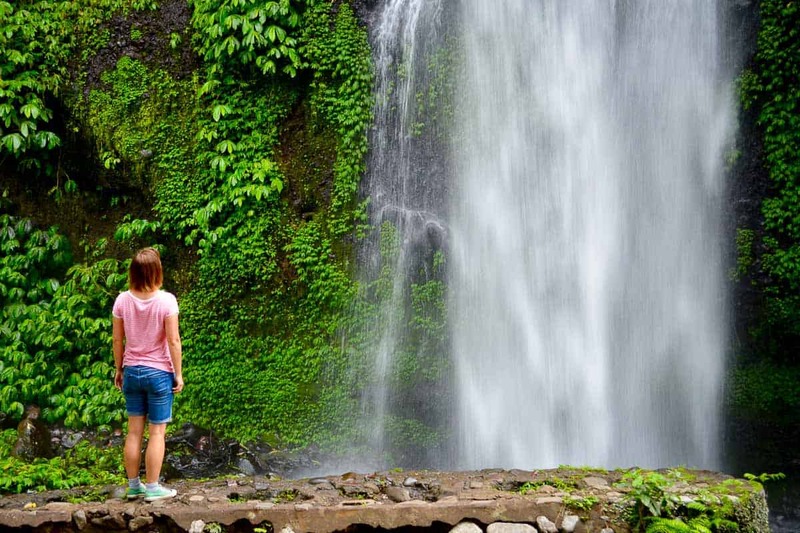 Find Indonesia’s cool and artistic side, explore its rich culture and hike to beautiful waterfalls. There are more than 17,500 islands in Indonesia – so rest assured that there is a lot more out there than just Bali. This article will give you my top four alternative places to see in Indonesia – Lombok, Yogyakarta, Raja Ampat and Komodo National Park. For each, I will include tips and recommended tours that you can book to make it really easy for you. Note that this article may include Affiliate Links, i.e. I receive a commission if you decide to make a booking. Some of the most beautiful beaches in Indonesia can be found in Lombok. Lombok Island is, after Bali, probably the best known Indonesian holiday destination. Having said that, compared to Bali, Lombok is still delightfully underdeveloped. A favourite place for many who would like to experience the more traditional side of Indonesia. The outlying Gili Islands are probably the best known place in Lombok, giving Lombok that reputation of a place for getting away from it all. But also Lombok’s main island offers a number of beautiful beaches where cheeky children will sell you freshly cut pineapples and cool coconuts. There are waterfalls to discover as well as many culturally interesting places. Lombok is also a popular destination for surfing, snorkelling and diving but still way off the mass tourism trail. What to see or do in Lombok? Beaches: Lombok is a great place for beach bums – there are a number of beaches in Lombok that will take your breath away. No crowds, no big hotel resorts, just you, a couple of locals and swaying palm trees. Best explored by renting a small motorbike. 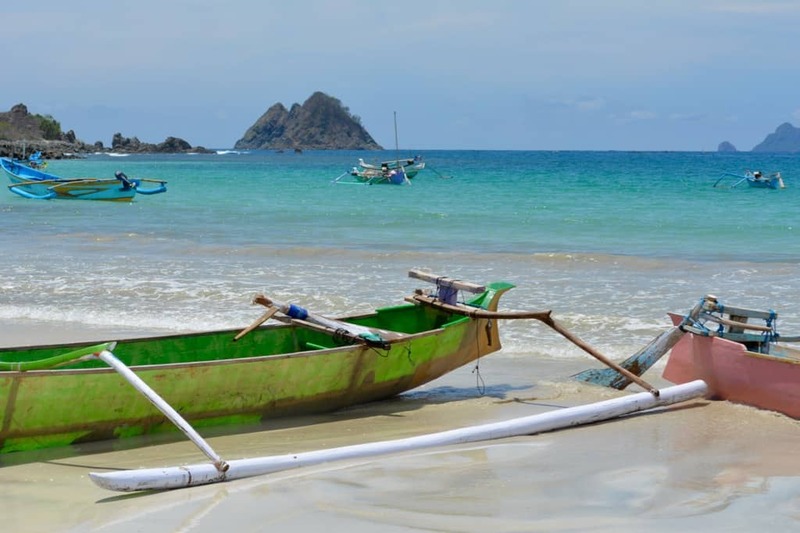 I am listing the five best Lombok beaches here, so have a read! When you are in Lombok, trekking to one of the waterfalls with their cool water is a must. Senaru Village: Indonesia is a country of many different peoples and cultures. If you want to learn more about the cultures that calls Lombok their home, plan in a visit to Senaru village. This traditional village is a bit like an open-air museum, but people are actually living here too. You will see how food is stored, animals are kept and how people live in traditional houses. Senaru is located next to the start of the Sending Gila waterfall trek, so you can combine a visit by booking this guided tour here. (Affiliate Link) Want to read more about Senaru Village? Have a look at our post here! You can buy really cheap flight tickets from Bali Denpasar to Lombok for around 20 EUR each way. There are also non-stop international connections such as Sydney, Singapore, or Dubai. Check Google Flights for your ideal connection and rates. Kuta is the best developed tourist town in Lombok (not to be confused with Kuta, Bali). There are a number of hotels and resorts for all budgets to choose from. A great choice is Novotel Lombok Resort & Villas – Click here to check reviews and rates! 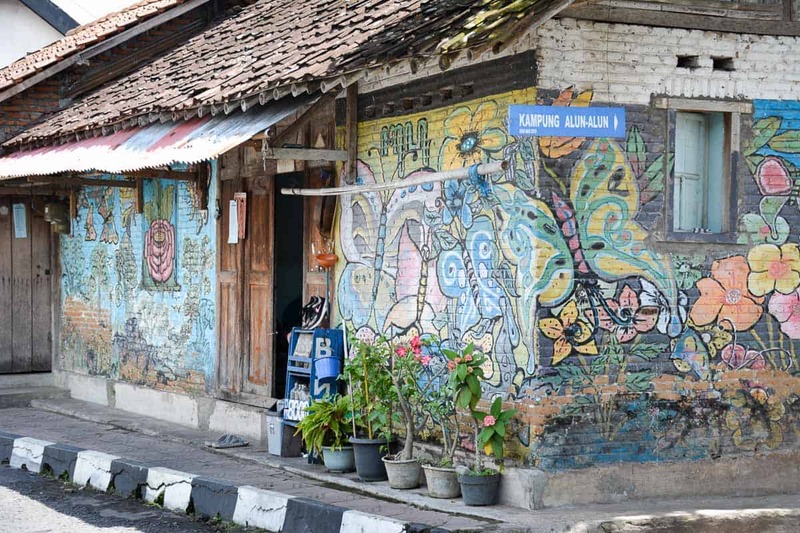 Yogyakarta’s street art and cafe scene is legendary in Indonesia. Buzzing Yogyakarta on Java Island is not your average Indonesian city. Jogja, as locals like to call it, is cultured and young, hip and innovative. It’s a great place to catch some international cosmopolitan flair while also experiencing some of Indonesia’s oldest cultural attractions – all in all a great alternative to Bali. Walk the streets and be amazed by the beauty of houses and even everyday objects like bird cages, market stalls or window frames. Check out the illuminated pedal cars that brighten the city at night – they are so much fun! Visit the fascinating old town (Yogyakarta used to be a capital city), and plan day trips to the gigantic volcanoes and temples nearby. For a detailed report on the best things to see and do in Yogyakarta and surrounds, read my more detailed article. Cafe Scene: Everything coffee is big in Yogyakarta. There are hundreds of small cafes that are frequented by a young and creative student crowd, and the scene can easily compete with the likes of Melbourne or other international cities. 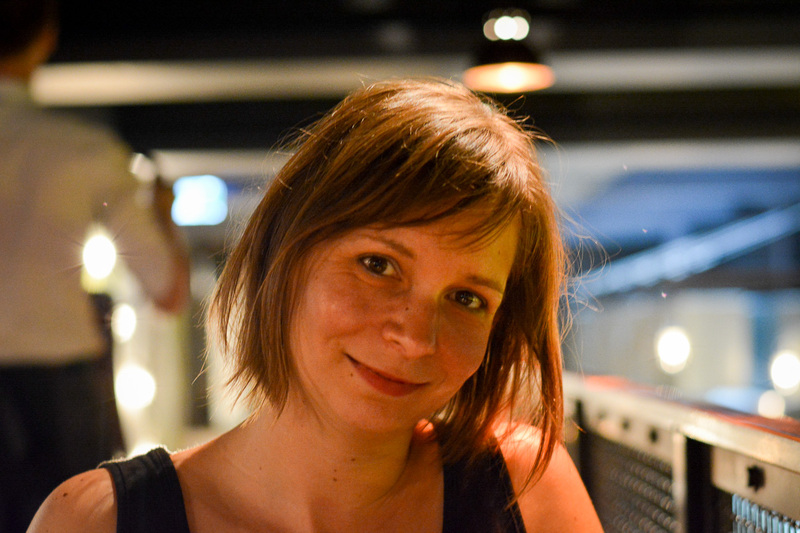 For a good overview, check out this article here. Street art: Street art is quite a thing in Yogyakarta, and if you are, like me, a fan of colourful murals then Jogja is your city. If you would like to know where to look and what to expect, I strongly recommend you read this excellent Yogyakarta Street Art article on the Sailingstone Travel blog. Kotagede is a former capital in Yogyakarta. One of these amazing places to go to in Indonesia other than Bali! 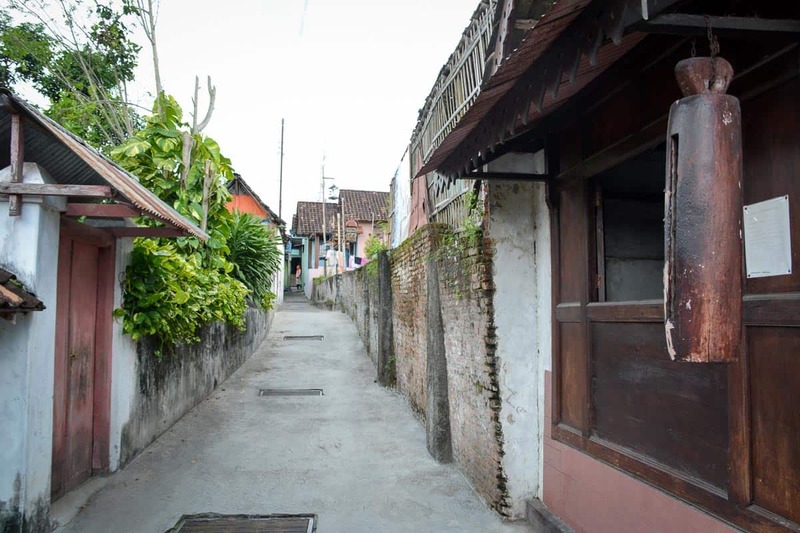 Kotagede Old Town: The old town quarter in Yogyakarta, Kotagede, is a confusing maze of narrow lanes and small houses. Some of the old structures have been destroyed in earthquakes, but there is still a lot of the original Kotagede to get a good feel of this very special area. In Kotagede, different cultures flow neatly into each other – Hinduism meets Muslim beliefs, interrupted by the occasional Dutch colonial houses. You can also visit a Mosque and the Royal Cemetery. 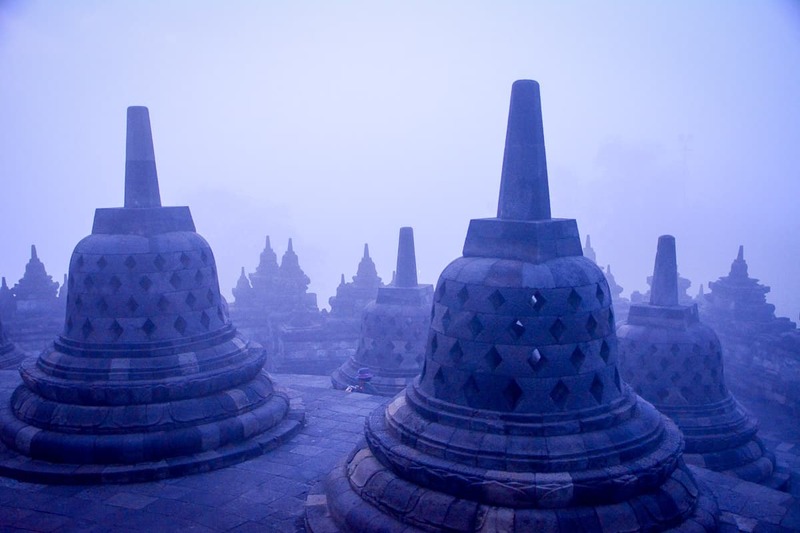 Sunrise at Borobudur is an unforgettable experience, in particular if the temple is shrouded in morning mist. There are cheap flights from Bali Denpasar Airport to Yogyakarta, starting at just 40 EUR each way. You can also fly directly from Jakarta as well as other international airports in the region such as Singapore. Check Google Flights for your ideal connection and rates. This star-shaped bay in Pianemo in Raja Ampat is just one of the many natural wonders you can explore in the region. The size and diversity of Indonesia is best experienced when you decide to travel all the way to the east, to an area called Raja Ampat. Here, things feel decisively different to the hectic modern-day vibe of Yogyakarta or Jakarta. As a result, Raja Ampat with its four major islands and countless smaller islands including Pianemo Islands is one of the last true paradises. It is still greatly undiscovered and undisturbed by man. For a more detailed account on what I experienced in Raja Ampat, click here. 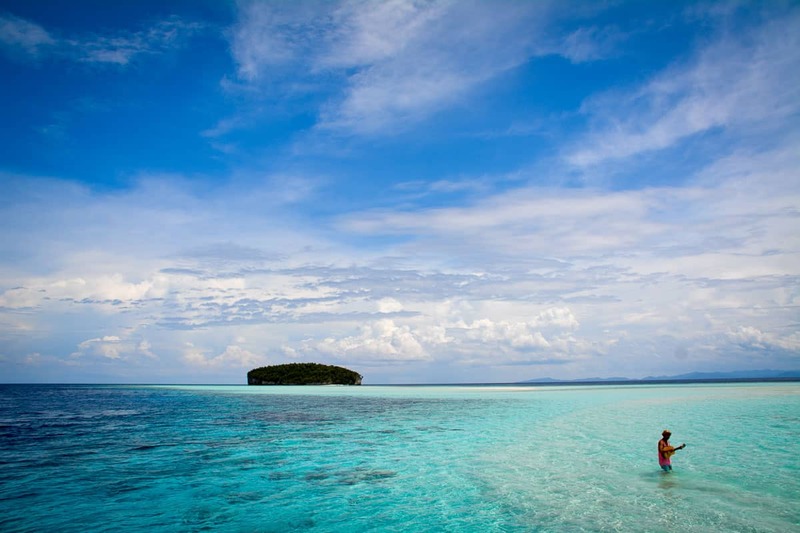 Raja Ampat is culturally much closer to Papua New Guinea than to the more populated Indonesian islands in the West. Experience a friendly island culture where people have been living off the land and the sea for thousands of years. Explore the magnificent beauty of tropical coral islands and unspoilt emerald reefs which some call the cradle of the world’s seas. Underwater World: Most people travel to Raja Ampat to dive and snorkel in the pristine waters which are teeming with life. Read here about the 10 Ten Raja Ampat Dive Sites. Nature Experiences: Others explore Raja Ampat by boat, cruising the many tiny islets with their breathtaking outlooks, gorgeous sandbanks and secluded bays. Humans have lived in this region for thousands of years – handprints hint at a long-standing connection of the locals with their land. The people in this remote region of Indonesia are culturally completely different to Indonesians found in Bali, Java or any of the other densely populated islands in the West. 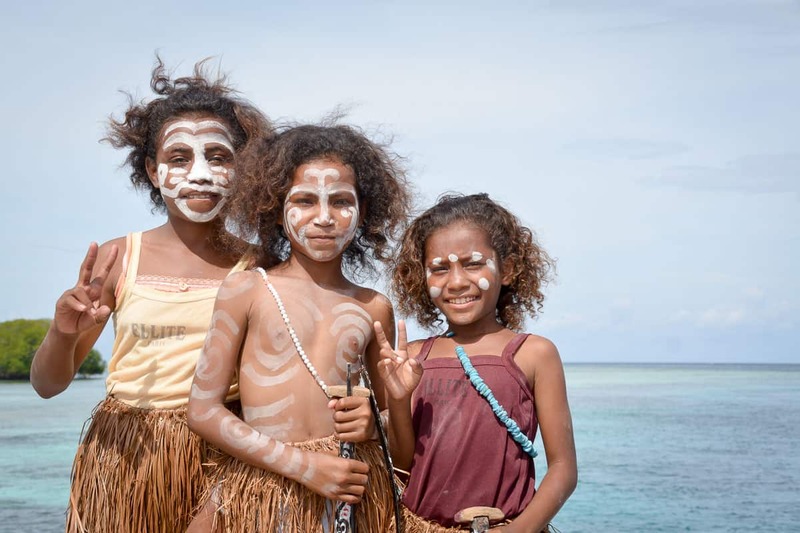 Meeting the Islanders: The area is dotted with many different islands, some of them populated by remote villagers who live without running water, electricity or motorised vehicles. Their ancestry is much closer related to the people of Papua, Australia and Melanesia than to the Indonesian people in far-away Jakarta. 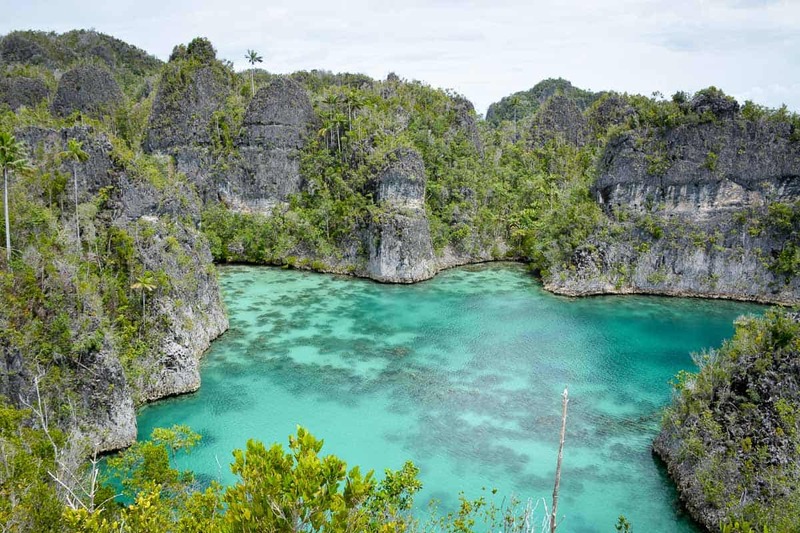 Pianemo Islands: Absolute highlight for many visitors to Raja Ampat is a trip to Pianemo Islands, a set of sharp peaked coral islands that form an unforgettable water landscape. Getting to Raja Ampat region in Indonesia is a bit more challenging and requires a little bit more planning. From Denpasar Airport in Bali to Sorong Airport, catch a connecting flight via Makassar (there is a cheap Ibis hotel right in the terminal which allows you to rest between flights). After your arrival, take a boat to the outlying islands – the ride takes a couple of hours. Swimming in Komodo National Park is a bit like swimming in paradise… just look at these colours! It is not often that you get to see an endangered species in their natural habitat. The Komodo Dragon is one of the most fascinating and unique creatures on earth, and you will only find it on a handful of islands in Indonesia. To protect the species and the diverse and unique natural beauty of the region, Komodo National Park was created, a wonderful place to experience tropical nature at its best. Komodo National Park is an area of unspoilt beauty, where small fishing boats and tiny islands dominate the scene. Visit the park to see amazing animals in their natural habitat – dolphins, manta rays, Komodo Dragons, crocodiles – and to experience life on board a ship in the calm tropical waters. 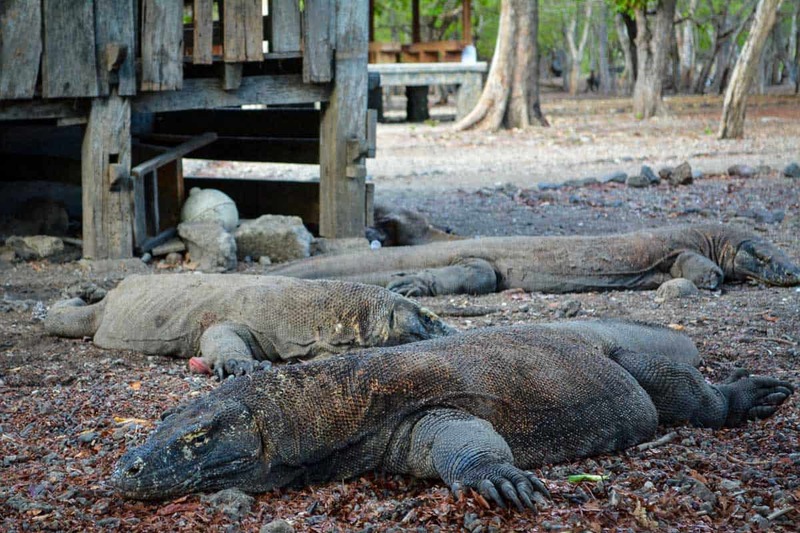 Komodo Dragons: Hands down the most important reason to visit Komodo National Park is to see the famous Komodo Dragon. A visit to Komodo and Rinca islands will introduce you to these fascinating and dangerous animals and their natural habitat. Pink Beach: There are quite a few pink beaches around the world, but they are rare. A red coral produces the colour and you will see it lying in little pieces on the white sand. While a pink beach will never be as pink as many people make it out to be thanks to Photoshop, the sight is still amazing. Sunset and Sunrise: Experiencing the most natural thing, sunset and sunrise, on board a small ship in the middle of the national park is an unforgettable experience. In the evening, watch the bats rise from their sleeping nests in the mangroves and swarm out in droves. In the morning, watch the manta rays and turtles play right under the surface – maybe just jump in and join them! 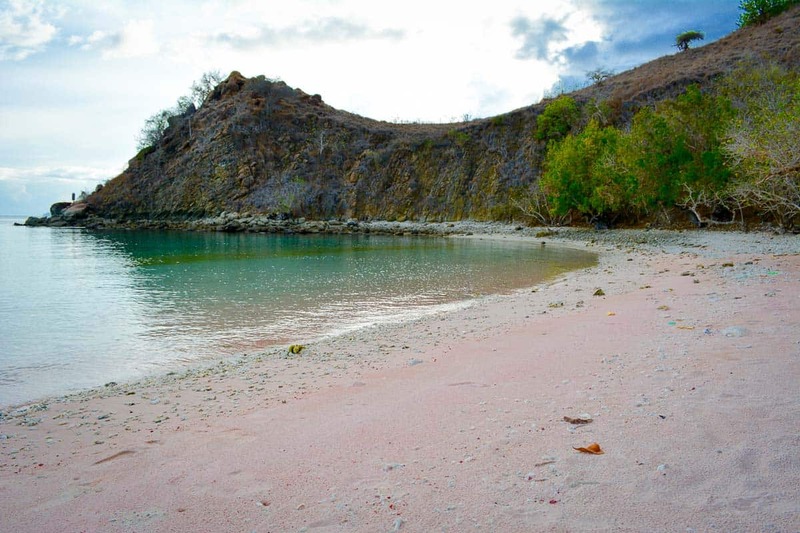 Pink beach in Komodo National Park is not blindingly pink but you can easily make out the reddish hue of the coral. Flores is the gateway to Komodo National Park. But the area is vast and you will need several day to truly appreciate its beauty. Therefore, the best way to do so is by hiring a charter boat with cabins. 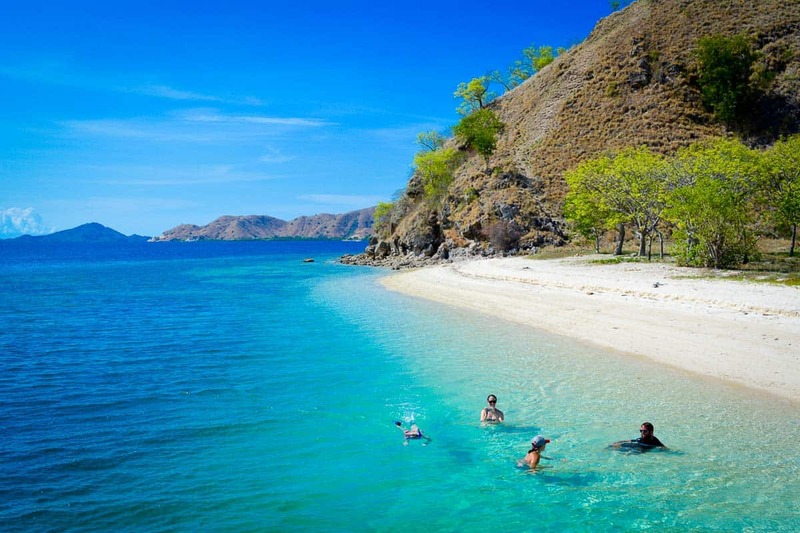 Here is a great 3-Day Tour from Flores to Komodo National Park that you should check out! Bali may be an important part of Indonesia, but there are so many more places to go to in Indonesia than Bali. I hope that the above alternatives – Lombok, Yogyakarta, Raja Ampat and Komodo – encourage you to look deeper into this destination. Indonesia really has such a variety of sights and sounds to offer that you will soon learn to love every little detail of it. For more information and tips about travelling in Indonesia, visit also our Indonesia Travel Blog Guide! Before you go… Looking for a recommended Indonesia Travel Guide to fit your backpack? Check out this Lonely Planet Guide which is packed with useful information and great ideas!